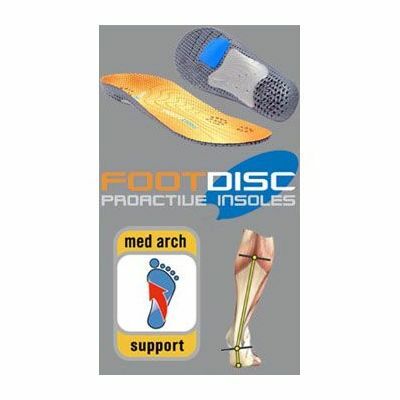 The FootDisc Support Shoe Insoles are available for all medium arch foot types and all shoe sizes to make sure everyone can get the benefit of this superb technical product. 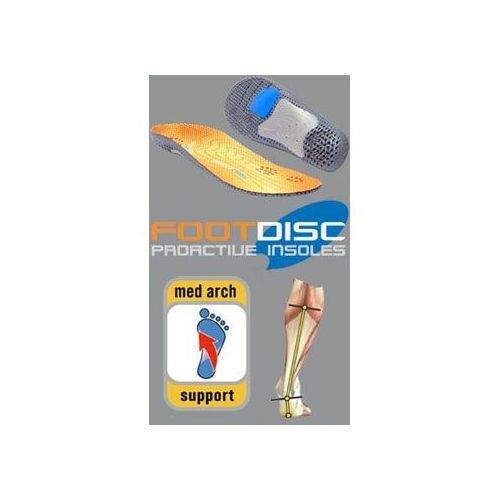 Whilst medium arch feet are as a rule efficient, the FootDisc support insoles are specifically suited to this foot plantar to add the extra level of support to stop the arches collapsing and minimise foot roll. The benefit is a more efficient system that produces better results and faster times as well as increased comfort and reduced risk of injury. The added support in the shoe across the arch of the midsole as well as the ergonomic shape supporting the heel, outsole arch, and forefoot arch make this specific insole the must have for low arches or flat feet. for submitting product review about FootDisc Support Shoe Insoles.